I’m OBSESSED with the show Scandal! I started watching it last year when my friend pneumonia was visiting…for a few months. During this time, I also went back and watched the show from the start on Nexflix. I LOVE Olivia Pope! I love Olivia for a number of reasons and one of them includes the fact that she drinks a glass of red wine every episode (usually with popcorn – another one of my favs). See – being in the public relations field drives you to drink! There is a lot of buzz on the internets about what wine Olivia drinks and from what glass she drinks it from. 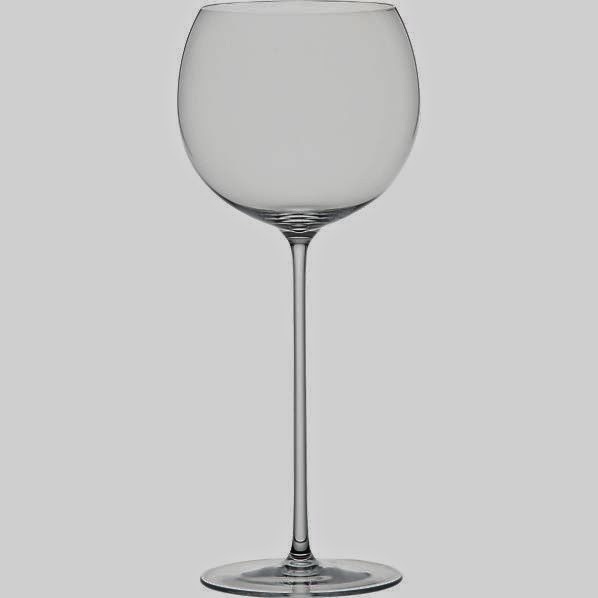 Olivia drinks from the Crate & Barrel 23oz Camille glass which retails for $14.95 – but it’s currently on sale for $11.96. Kerry Washington herself doesn’t drink wine (GASP!) and many of the bottles on the show appear to be faux. The bottles just say “California Oak.” Bon Appetit did some extensive research and determined that Olivia drinks a full-bodied red wine like a Shiraz. I also love that the internets have created the term “wine cardigans” for the clothes that Olivia changes into when she’s drinking wine. Drink (the alcoholic version) on Gladiators!